Here is the very simple math: with a loss tonight, the Yankees will fall out of postseason position for the first time since April 13th, the day of the ninth game of the season. The Yankees are 9-21 in their last 30 games — that’s their worst 30-game stretch since going 8-22 in late-May/early-June of 1995 — and the Twins are a half-game back of the second wildcard spot. 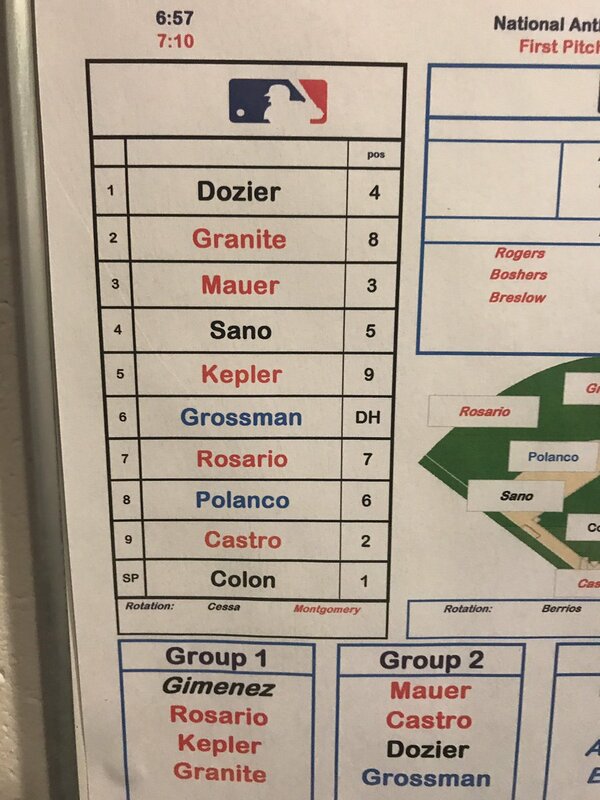 A loss tonight means the Twins will be a half-game up. It rained in Minneapolis for much of the afternoon, though it’s supposed to stop in time for the game. There is no more wet stuff coming tonight either, so once they get this one started, they should have no trouble finishing it. Tonight’s game will begin at 8:10pm ET and you can watch on WPIX locally and ESPN nationally. Try to enjoy the game. Roster Move: Bryan Mitchell was sent down to get Cessa on the roster, the Yankees announced. I thought maybe they’d send down Caleb Smith instead, but nope. Smith remains. The middle innings lefty role is a land of opportunity right now. Injury Updates: As expected, Michael Pineda (Tommy John surgery) and Greg Bird (ankle) had their surgeries today. Everything went fine. 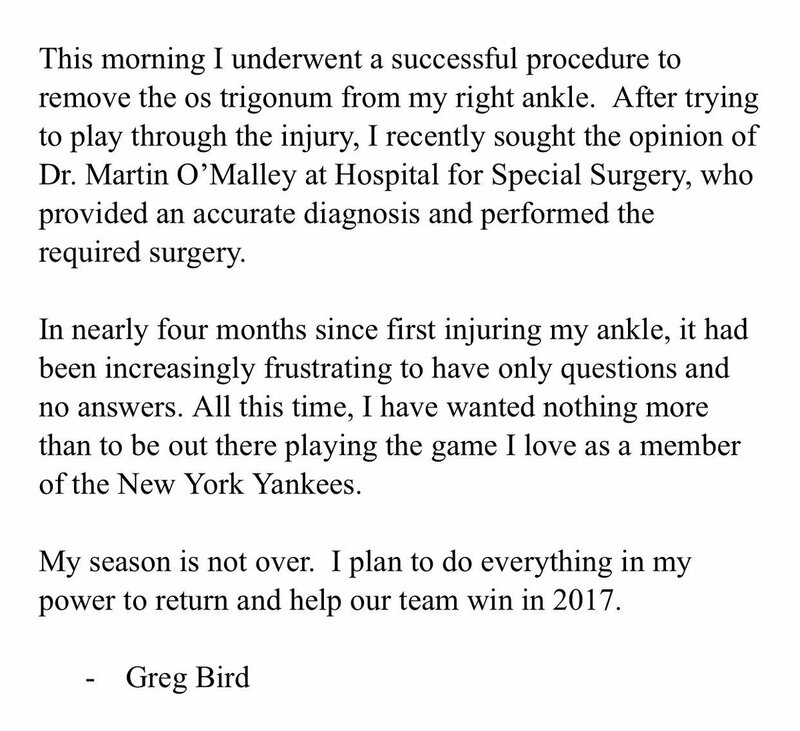 Bird released a statement saying he intends to play again this year. You can read it here.